Intricate embellishment adorns the lacquered effect bedside table from the Burnished collection by Robert Langford. 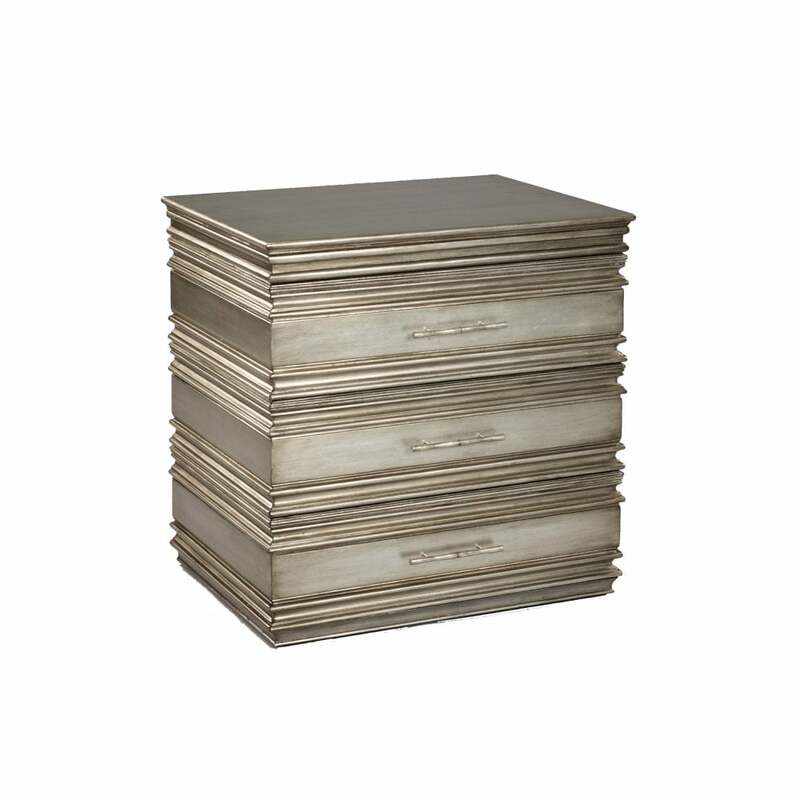 The crafted silver finish achieves an elegantly aged effect. Decorative linear ridges outline this sophisticated storage solution. Three drawers are included in the compact design, making it the ideal storage solution for narrow, spaces whilst retaining a touch of glamour. Style the Anwar beside table with complementary furniture pieces from the Burnished range for a cohesive, stylish look. Also available in a smaller size.